We are offering Square Packaging Boxes to our client. Extensively used for packing gift items, our range of Handmade Paper Gift Boxes are designed to suit the aesthetic tastes of our clients. 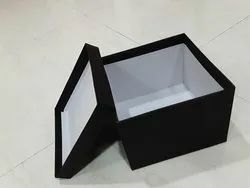 These alluring Handmade Paper Gift Boxes are offered to our clients in a plethora of color combinations, designs, shapes, sizes and other specifications. Riding on unfathomable volumes of industrial expertise, we are engaged in manufacturing a broad assortment of Hard Board Paper Box. 1 Pack - 24 Kg. 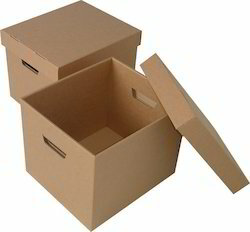 We are engaged in rendering a wide gamut of Industrial Packaging Boxes which is ideal for long route transportation.